A Milan court is planning to charge Eni and Shell with corruption in a controversial oil deal that has cost Nigeria about $6 billion. Campaign group Global Witness estimates that the 2011 OPL 245 agreement deprived Nigeria of twice its annual budget for education and health. Eni and Shell are accused of knowingly pouring money into bribes. The Italian and Anglo-Dutch giants of energy deny any wrongdoing. This case currently before an Italian court involves former MI6 officers, the FBI, a former president of Nigeria, as well as current and former senior executives of the two oil companies. Former Nigerian oil minister Dan Etété was found guilty of money laundering by a French court and it turned out he had used illicit funds to buy a speedboat and a castle. Sources indicate that his personal fortune was estimated at five tons of $100 bills! Global Witness has spent years investigating the deal that gave Shell and Eni the right to explore OPL 245, an offshore oil field in the Niger Delta. The organization commissioned a new survey to analyse how the contract was amended for energy companies and concluded that Nigeria’s losses over the life of the project would amount to $5.86 billion, compared to the conditions in force before 2011. The analysis was conducted by Resources for Development Consulting on behalf of Global Witness, as well as by NGOs HEDA. 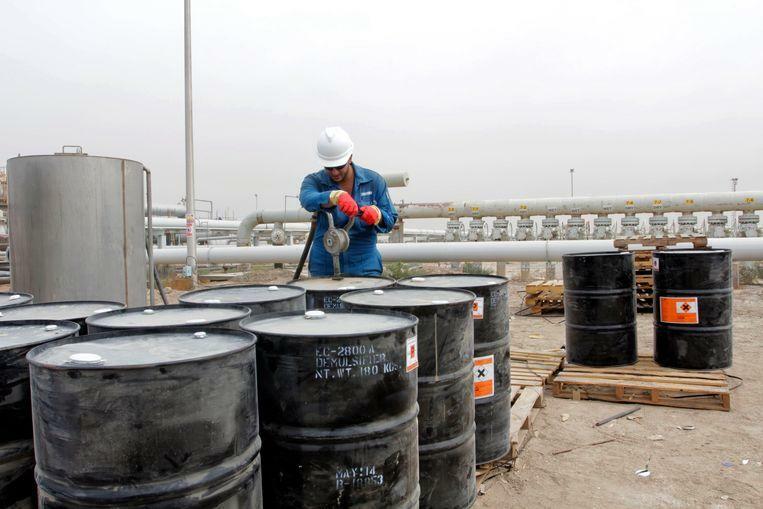 The estimated losses were calculated on the basis of a price per barrel of oil at $70. Eni criticized how the losses were calculated because it ignored the possibility that Nigeria had to revise the agreement to claim a 50% share of the revenues from the productions. Nigeria is Africa’s richest economy, but despite significant oil and gas resources, millions of people are poor. It is understandable that Eni and Shell wanted to acquire the operating rights of OPL 245 because it is estimated that it contains nine billion barrels of oil. Shell is one of the oil companies accused of corruption. But the way they got the contract is tainted with allegations of corruption. The Milan court is assessing the responsibilities of former Nigerian oil minister Dan Etete in assigning block OPL 245 to Malabu, a company he controlled. He is accused of paying bribes to other members of the government, such as former President Goodluck Jonathan, to ensure the smooth running of the process. Shell and Eni are accused of knowing that the $1.1 billion they paid in Nigeria would be used for bribes, requests based on the content of e-mails that have since leaked. “Looking at the emails, it seems that Shell knew that the agreement it was entering was misleading, but it still implemented it, even though a number of Nigerian officials have expressed their views. concerns about this outrageous deal,” says Ava Lee of Global Witness. The Anglo-Dutch and Italian energy giants insist they did not do anything wrong, because they paid the money to get the exploration rights directly to the Nigerian government. “We maintain that the settlement was a fully legal transaction and we believe that trial judges in Italy will conclude that there is no lawsuit against Shell or its former employees”. Eni also denied any wrongdoing and told the BBC that it was questioning the competence of the experts mandated by Global Witness and its “partners”, while raising the possibility that the group’s report was defamatory. The Italian oil and gas company states: “As this case is currently before the Milan Court, we are not able to comment in detail. Global Witness and its partners Corner House, HEDA Resource Center and Re: Common have twice asked to be admitted as an aggrieved party in the Milan proceedings, and twice the request has been firmly rejected by the Milan Court.” Eni also stated that it “continues to reject any allegation of irregularity in this transaction”. Global Witness and its partners believe this is a historic case of corruption and that the outcome of the Milan lawsuit will affect the oil and gas industry. Olanrewaju Suraju of HEDA urges the Nigerian president to intervene: “President Buhari should reject this agreement”. The contrast between the way Italy treats migrants and the actions of one of the country’s largest companies was raised by Antonio Tricarico. “The Italian government discourages Nigerian migrants trying to reach Italy by claiming that it will help them at home, but the largest Italian multinational, partly state-owned, is accused of defrauding billions of Nigerians”. The outcome of Milan’s unprecedented lawsuit could force the oil industry to change the way it conducts business, particularly in countries where corruption is widespread, as greater transparency of contracts and payments would deter fraud.